Don’t be “deceived”—Blackwell Deception is an excellent game. …OK, there’s my sound byte for this game. Now the producers can copy/paste it onto their website under the “reviews” section, and I can avoid writing an actual review. See you later, everyone! Oh…it looks like I actually have to write a full review. Fine. Blackwell Deception is the fourth game in a series I’ve never played before, and it comes from the makers of The Shivah, Emerald City Confidential and Gemini Rue. For a change of pace, they decided to make a mystery game starring a detective. As far as I can tell, the Blackwell series is about a nerdy psychic woman, Rosa Blackwell, and her sidekick, Joey Malone, the ’40s gangster. Joey is a ghost with a magic tie that has interdimensional transportation powers. Our heroes spend most of their time counseling ghosts who are suffering from denial. …That’s the basic premise of this series. I know it sounds completely bonkers, but it made sense in the actual game itself. In fact, the only part of the premise that confused me was the main character’s name, because sometimes she gets called Rosa, and other times she gets called Rosangela. I think Rosa might be her nickname, but I’m not entirely sure. Unique premise aside, the plot for this specific game is well-crafted, in that it unfolds very nicely. As our heroes investigate various ghosts, they come to realize that a serial killer named Gavin is on the loose. Gavin has brainwashed several people, and it seems that he has some kind of spiritual powers…just like our heroes. The game slowly builds up to a dramatic confrontation against the evil Gavin, and the endgame showdown doesn’t disappoint. 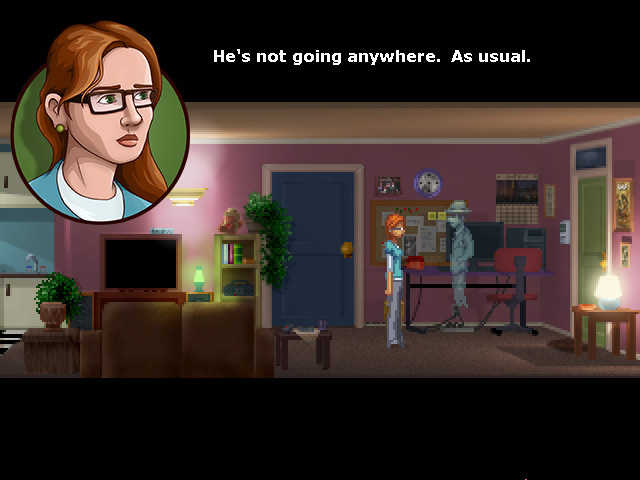 Blackwell Deception is sort of what I was hoping Back to the Future: The Game would be. It’s a story-driven adventure game that lasts over six hours. The puzzles are difficult, but solvable; I had such a great sense of satisfaction when I figured out the solution to the “find out what books Jamie likes” puzzle. The game has a modest amount of humor, which I thinks works better than it would if they tried to make it a comedy game. The characters in this game are hit and miss. The main characters are all great, but some of the secondary characters don’t work so well. You run into multiple one-scene characters who are antagonistic toward our heroes, for the purposes of creating a minor puzzle. I ended up forgetting most of them, to be honest. The ending credits have pictures of all the characters, and there were at least four of them that took me a while to recognize. The game’s website brags that this is the first time the series has delved into romantic territory. That’s sort of an awkward place for the series to go in general, because half the characters are dead. But since I read “Romance is in the air for Rosa and Joey!” on the list of the game’s features, I found myself anticipating the big romantic moment. 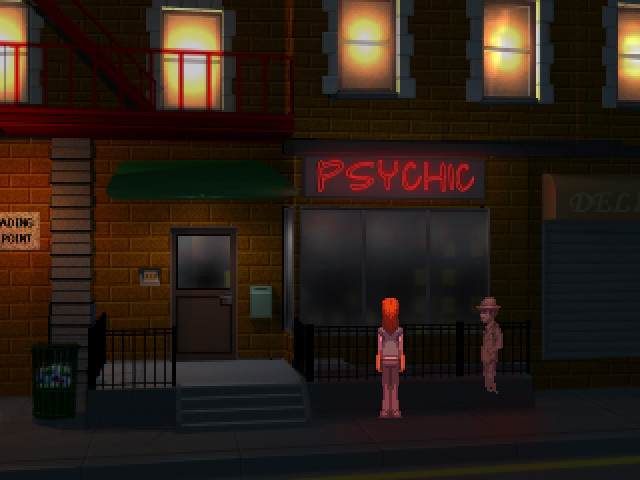 In particular, I thought the game was building up to something between our main character Rosa and her friend Jeremy. Jeremy has to leave midway through the game, and I thought, “Aha! Romance time!” Nothing major, of course; maybe just a shy kiss on the cheek or an embarrassed “I kind of liked you” confession. But when it came time for Jeremy to leave, nothing really happened, and the two characters were just sort of awkward and lonely as Jeremy left forever. It was sort of a let down. No, the big romantic moment was actually a kissing scene between Joey and a girl ghost named Jamie. It was kind of unexpected, even though it came at the end of a “make Jamie like Joey, so she’ll tell him the truth” puzzle. I didn’t like the kiss because it was romantic, as much as I liked the humorous aftermath of the kiss, where Rosa is creeped out by the possibility of any girl liking Joey enough to kiss him. In conclusion, I recommend checking out this game. It’s got a great plotline, a rather unique premise, and you don’t have to play the other three games in order to understand it. Plus, there’s romance! …Kind of. Don’t be “deceived”—Blackwell Deception gets an 8 out of 10 from me. Graphics don’t look that great, but if the game’s as good as you write it is, then no worries. Good review. @JJM No way, those graphics are awesome! 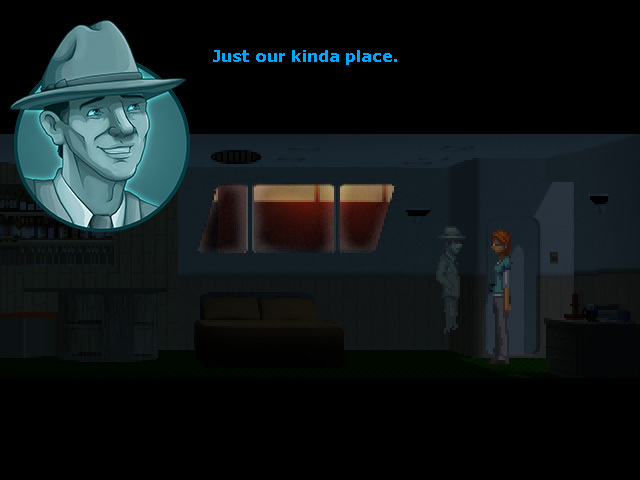 We need more adventure games that embrace 2D pixel art, instead of the usual generic-looking polygons we get nowadays.